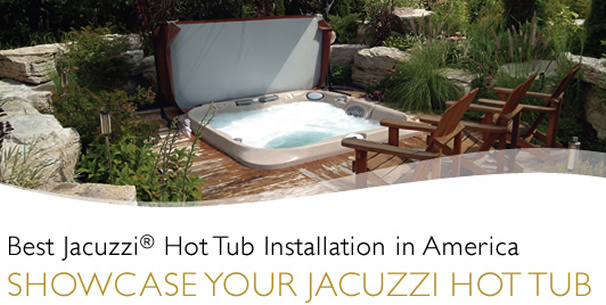 Jacuzzi is holding its first ever Facebook contest and inviting current Jacuzzi hot tub owners to submit pictures showcasing their outstanding installations; giving Jacuzzi owners the opportunity to show of their dream backyards. Not only is this a very interactive campaign for current Jacuzzi hot tub owners, but Jacuzzi’s Facebook fans & Twitter followers (regardless of hot tub ownership) will also have an important role in voting for their favorite installations. The contest is being promoted through Jacuzzi’s hot tub blog and custom Facebook page, both of which were designed and developed by Ninthlink. May 31, 2011 WINNER WILL BE ANNOUNCED! Grand Prize winning installation will be featured in Jacuzzi’s interactive space including the jacuzzihottubs.com homepage, their blog, Facebook, Twitter and YouTube. Grand Prize Winner and finalists will receive an official “Best Jacuzzi® Hot Tub Installation Design Award”. For help with launching a social media campaign of your own, contact us today. Previous Post"Plug Me" - Artshow by Mark Murphy is going to Rock! As the brand, being conform tocampus-wide measures and being able to fit quickly turn out to bea difficulty with other proprietarynetwork platform. they are able to undoubtfabrication perfectdesign templates that make for a consistent user experience across all of the schools’ websites.